Look what showed up in my mail box this afternoon! 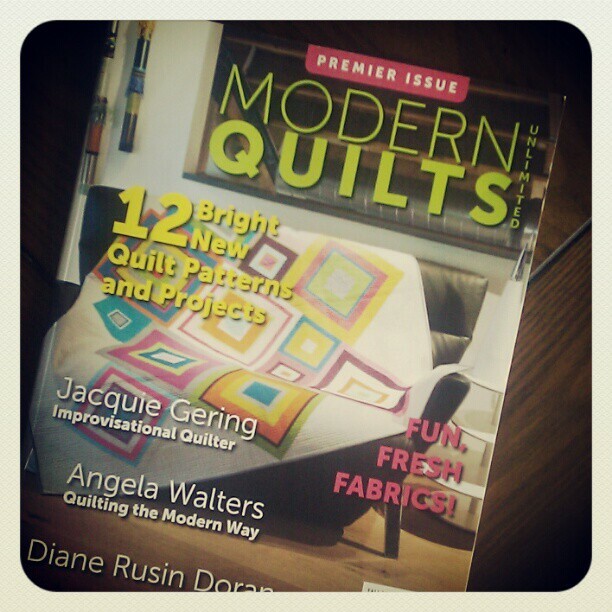 It's the very first issue of Modern Quilts Unlimited, and it has my quilt on the cover! I'm pretty much over the moon about this today! Here are some pictures of my quilt I took before shipping it off in June. I'm excited to finally share them. I created the back using solid squares with a very similar layout to the front. I quilted it with lots and lots of straight lines. 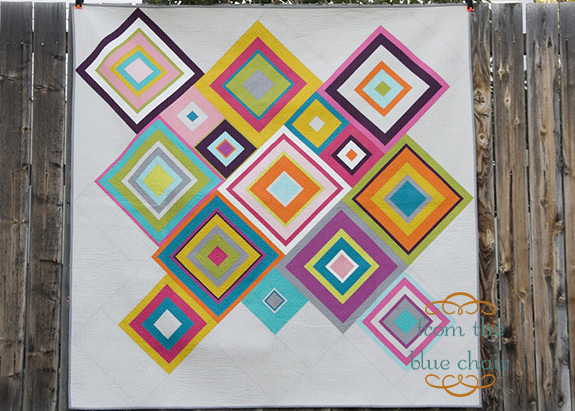 It's a large square throw, finishing at 68" x 68". 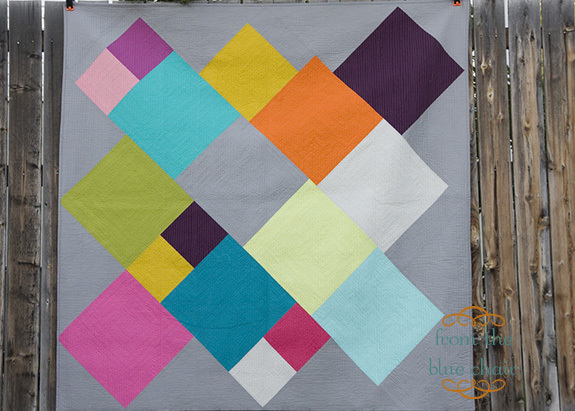 Absolutely gorgeous quilt, Kati! Congratulations!! Beautiful!! And congratulations! I will have to look for that! I love this quilt, and it is so nice to see it on the cover, congratulations! I love the back too. congrats Kati! And may I just say that you make the most amazing quilt BACKS out there?! I strive to be like you! Super awesome quilt Kati! Congrats on the feature! lovely and bright and so very well deserved! 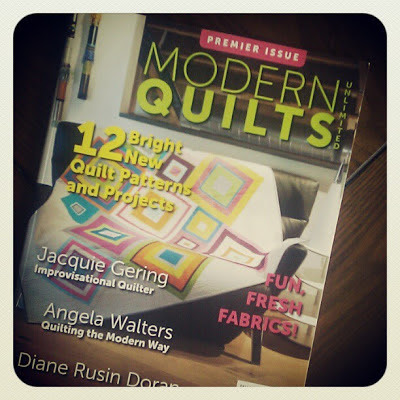 Congratulations on the cover - it is such a vibrant and stunning quilt! Congratulations on the great cover quilt!! Stunning, stunning quilt. What an honor to be on the cover! Wowee! Congratulations Kati - what an honor to be on the cover!! 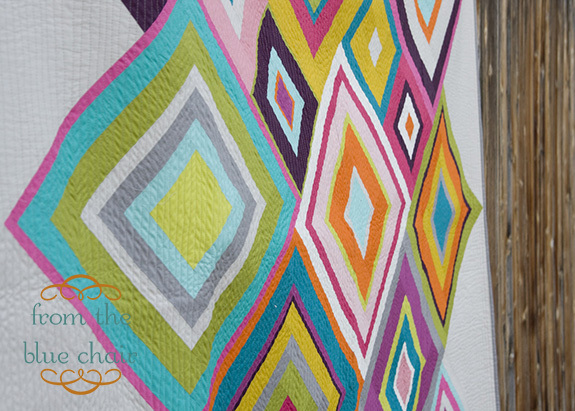 Gorgeous quilt! I'm so excited for you Kati! Congratulations, it's beautiful!!! Congratulations, that is just so exciting! I can't wait to get my copy and see it in person! I'm not surprised they chose that for the cover, it's gorgeous and vibrant! Congratulations! It's a beautiful quilt. And it reminds me a bit of your Broken Diamonds. 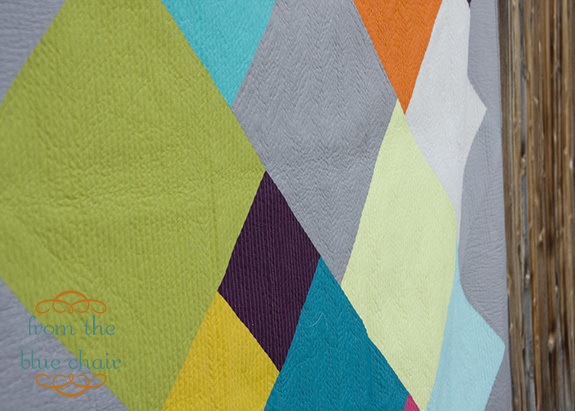 I love the fact that both the quilts have a similar design but a very distinct feel. The quilt is fabulous...I'm so happy to see it on the cover, congrats. It's just stunning - so vibrant and striking. You have such an eye for colour. Congrats on an amazing quilt and it being published. wow! congratulations, that is so exciting. I am loving the back of the quilt, too! congrats, it's very eye catching, lovely. Congratulations!! Haven't seen the magazine yet. Your quilt is wonderful. Beautiful quilt! I can't wait for my copy to arrive in the mail. Yeah and yeah! No surprise that you make "front page quilts" and I am so happy for you! Congratulations! Your quilt is beautiful! I don't know how I missed this post..... So well deserved Kati, it's such a stunning quilt! Much congratulations to you!!! That's a dream come true for all of us. Are you happy you sold it now?